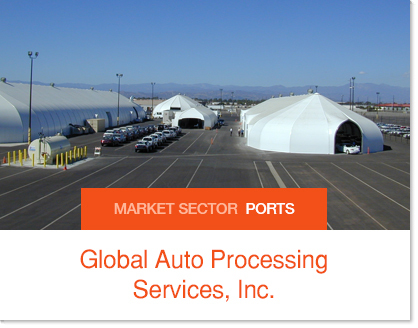 Today’s automotive manufacturing industry is fast-paced and on demand. 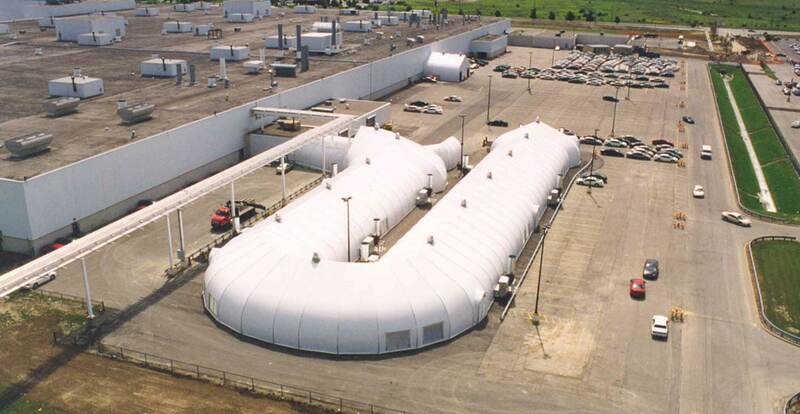 Sprung structures are an ideal way to add capacity to any small or large manufacturing operation. 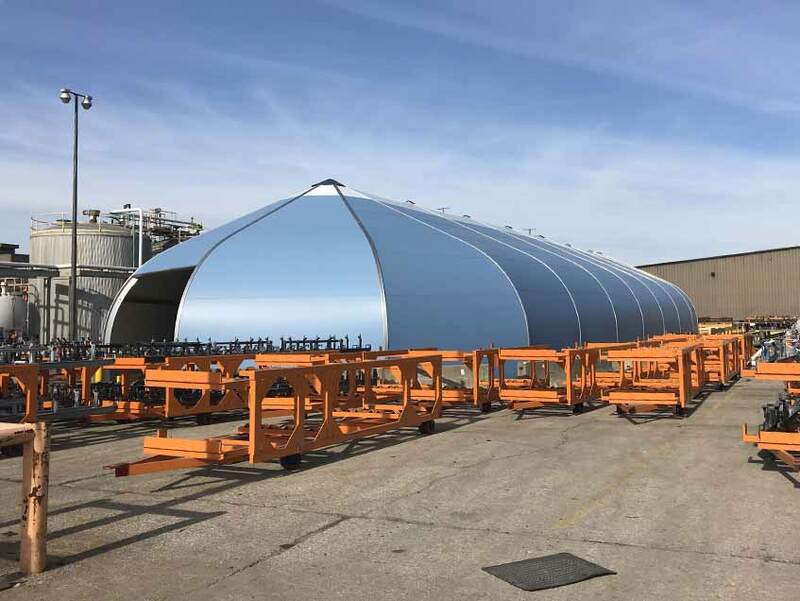 For companies who require manufacturing facilities with superior engineered solutions, Sprung structures are flexible enough to accommodate changes and unexpected growth in manufacturing facilities. 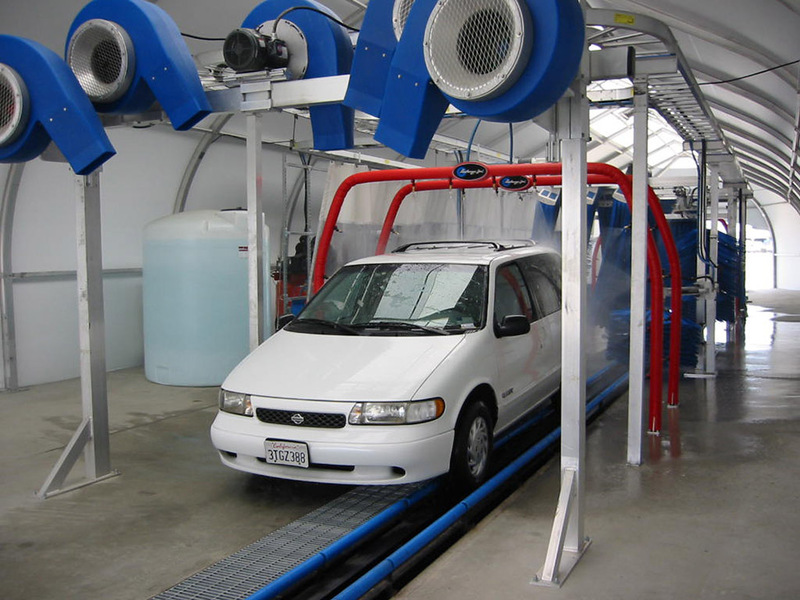 Sprung provides an immediate, custom-built manufacturing or equipment building that can be temporary or permanent. 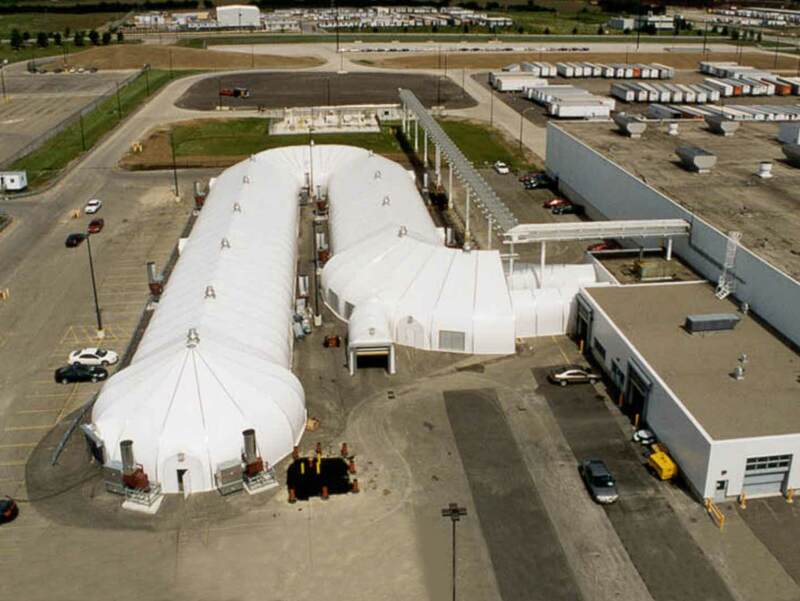 Sprung structures can be leased temporarily or semi-permanently and be retrofitted for various applications. Immediate Delivery from Inventory – Complete projects in a much shorter time-frame than conventional construction. 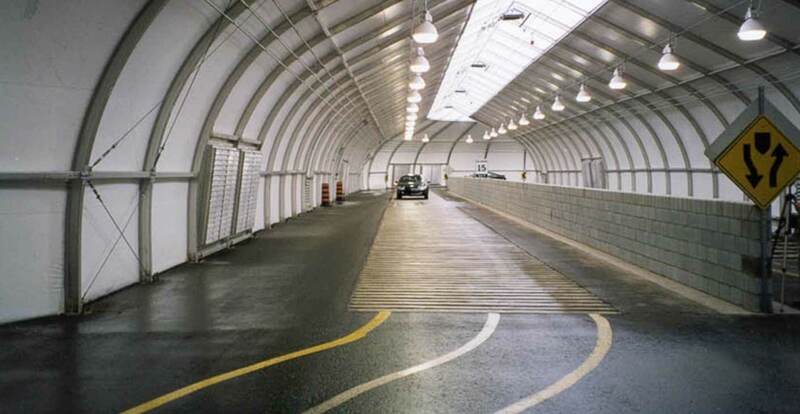 Modular, Relocatable Clear Span Design – Disassemble, move or completely reconfigure. Ideal for multi-use applications. Limited Foundation Requirements – Save on foundation costs where appropriate soil conditions exist. 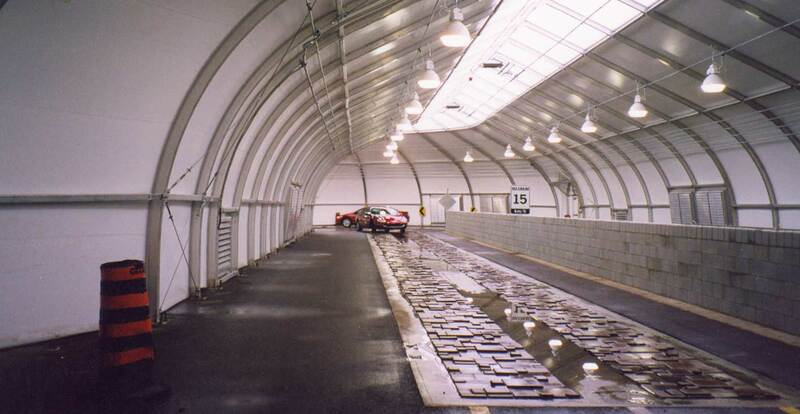 Concrete foundations are not required for Sprung structures up to 160 ft. in width. 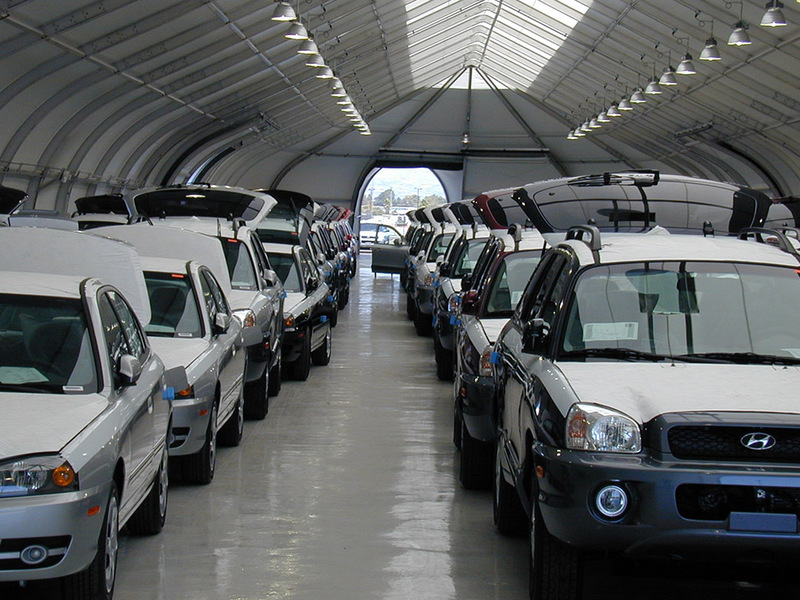 Lease with Option to Purchase – Increase your cash flow savings with Sprung’s convenient in-house leasing program. 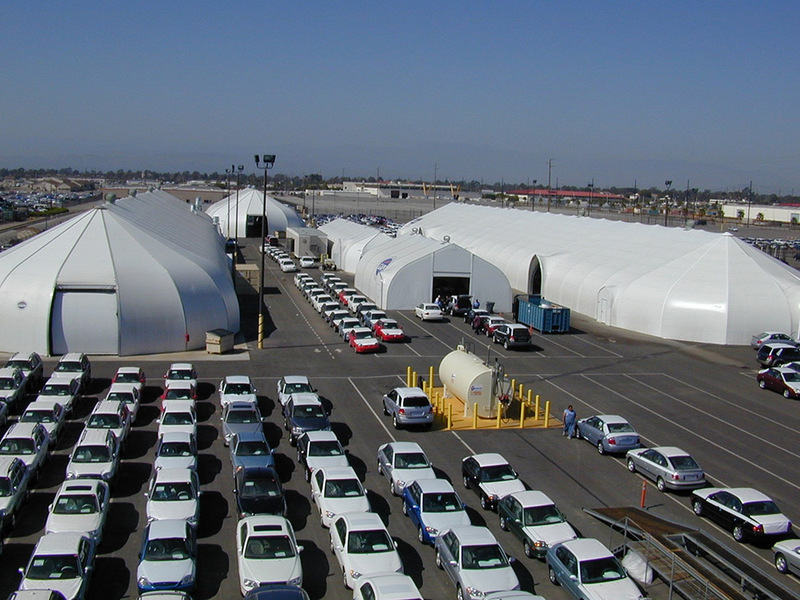 Sprung’s clear-span manufacturing facilities offer an abundance of space for any number of functions; from assembly lines to quality control, warehousing, or shipping and receiving. 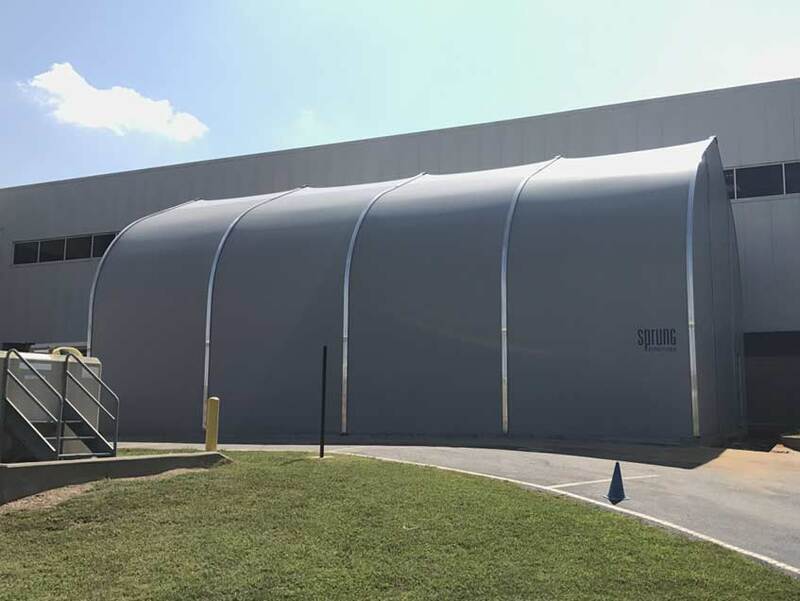 Sprung’s structures can become a customized vehicle or equipment storage building and our cargo doors will allow some of the largest vehicles in the world easy access to the interior work-space. 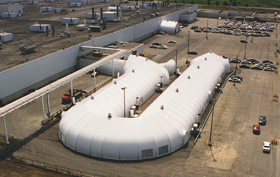 Many members of the manufacturing industry have already made Sprung their building solution. 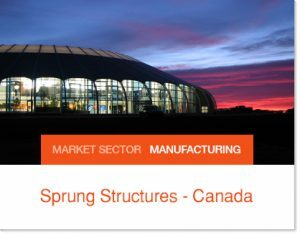 Sprung structures have been used as on-site manufacturing storage and equipment enclosures at our Aldersyde Campus in Alberta; assembly line expansions for Tesla in California; and as enclosures and testing sites for automobile giant Daimler Chrysler. 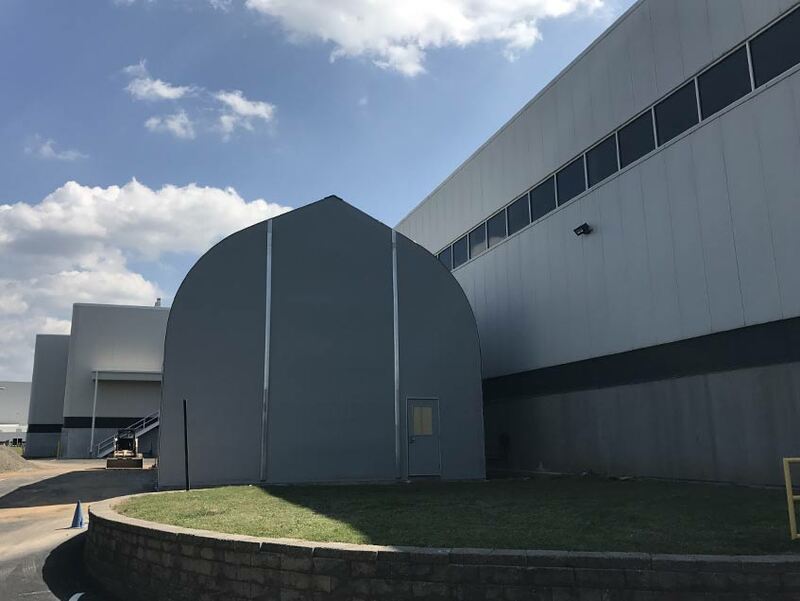 Designing for Adaptability — Why did FCA choose Sprung as the building of choice for this automotive test track enclosure?